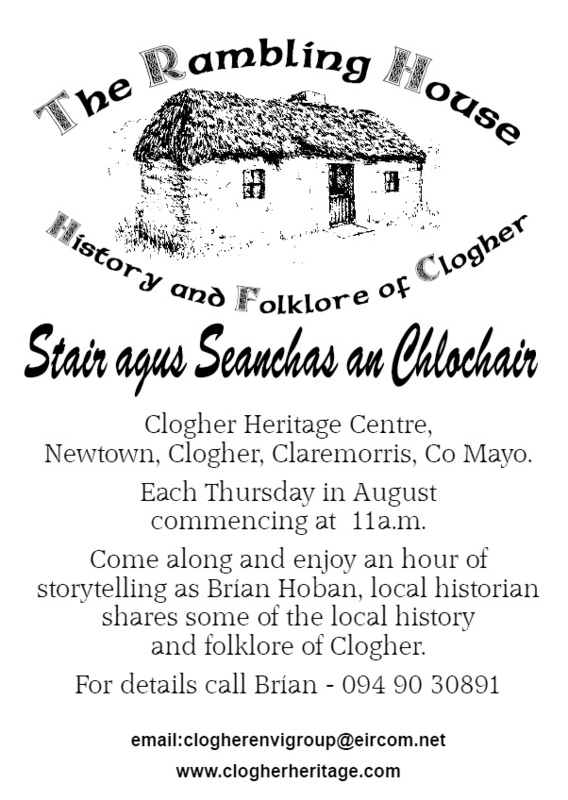 THE MONTH OF AUGUST IS A BUSY MONTH AT CLOGHER HERITAGE CENTRE. 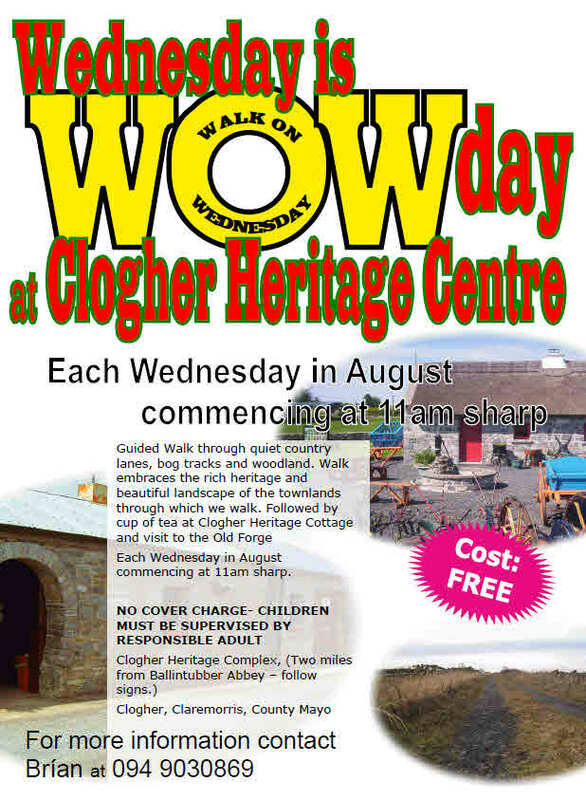 Wednesday is WOW DAY- A guided nature along Clogher Bog Loop Walk. Thursday is RAMBLING HOUSE- a storytelling hour with local history and folklore.